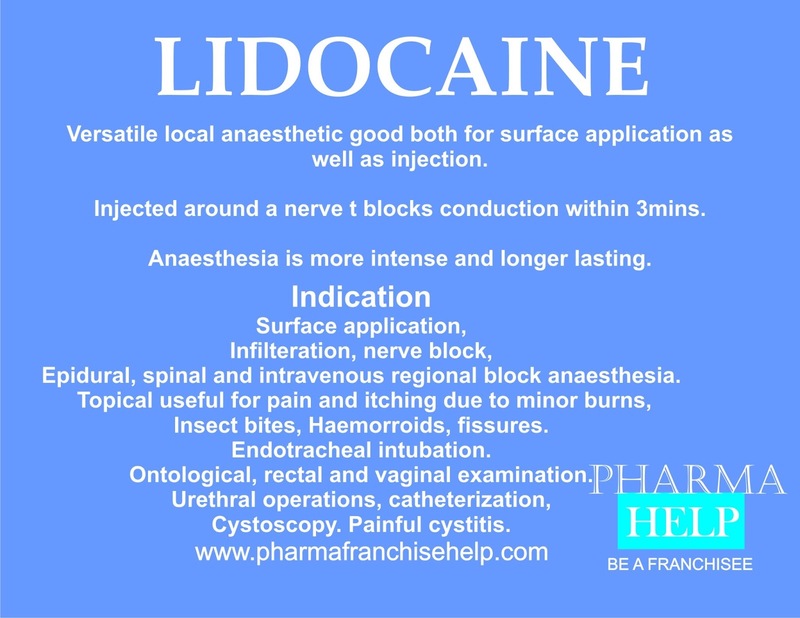 Versatile local anaesthetic good both for surface application as well as injection. Injected around a nerve to blocks conduction within 3mins. Anaesthesia is more intense and longer lasting. Spinal and intravenous regional block anaesthesia. Ontological, rectal and vaginal examination.